The Basic Oxygen Furnace (BOF) is the most applied steelmaking process in steel manufacturing industries. In fact, around 74% or 1,205.09 million tonnes of the world’s steel are produced via BOF. And, there were only 25% or 407.125 million tonnes comes from Electric Arc Furnaces last 2016 (World Coal). Moreover, the methods of manufacturing steel have significantly evolved as well. Modern steelmaking processes now include both recycled materials and traditional raw material for steel production. Now that the process is becoming more complex, utilising a more advanced technology is much needed. So what type of computing equipment can both handle extreme conditions and complex operations? One industrial computing device suitable for steelmaking operations is the S12 rugged industrial panel PC. This device can have the specification needed for modern applications to install and use. And, this type of computing equipment has the highest protection when placed in the steel factory operations. So, it can withstand harsh working conditions in these operations. But, the great advantage of this industrial computer is that it can be customised with a projected capacitive touchscreen technology. Hence, its touchscreen feature will provide an ease of use to the operators working in this industry. How compatible is the S12 rugged industrial PC with projected capacitance to modern steelmaking methods? Find out more features of this device which can organise the BOF steelmaking processes. In industries where durability and quality is a mandatory requirement, the right computing technology is a must. This device must have the capability to gather, store and analyse accurate data. Of course, only precise data is being transmitted during the process. That way, steel manufacturing plants can produce high-grade quality steels. But, with its bearing working environment, it is also essential to consider its capability to withstand extreme working conditions. Installing the S12 industrial panel PC can be an ideal solution. This computing equipment cannot only perform specific functions in steelmaking processes. But, it also has the ability to resist a wide temperature range. With its IP69K rating and NEMA4 sealing capabilities, expect that this device can be functional. Another advanced feature of the S12 industrial panel PCs is that it is integrated with projected capacitive touchscreen suitable for BOF steelmaking. Keep in mind that a touchscreen is not only easy to use but this feature is also water-, scratch-, and dust-resistant. Hence, BOF processes can be effectively performed on this device. What are the other key features of these rugged computers that can be utilised in steel operations? Get to know more about its detailed specifications below. Modern BOF steelmaking uses an automated system for an efficient and quality steel product. But, this application requires a sturdy and reliable computing system even in extreme environments. Take a look how the S12 rugged computers with a projected capacitive touchscreen can provide enhanced steelmaking operations. Automated systems are composed of multiple networks of applications. This goes also the same with modern BOF steelmaking. However, this application carries larger memory. So, it requires larger memory space storage. And, keep in mind that bigger memory space can also affect the system’s overall performance. What’s worse, it may be a leading cause of delays in production. With the S12 rugged industrial PC, it can have a built-in Intel® Bay Trail M/D with 2.0 GHz quad-core processor. It is two times faster than the existing Pentium and Celeron processors. It has also low power consumption but the overall performance is still reliable and efficient. Steel factories used to push an array of buttons and levers to perform a process. So, every activity is done manually and operators have an open contact with the work environment. Unfortunately, there is a huge possibility that operators can also experience unexpected incidents. Unlike the S12 rugged industrial computers, the process is made easier and better for steel operators. With projected capacitance feature, BOF operations can be streamlined on-screen monitors. Each application can have its own icon on screens so that operators can just touch it to perform a process. 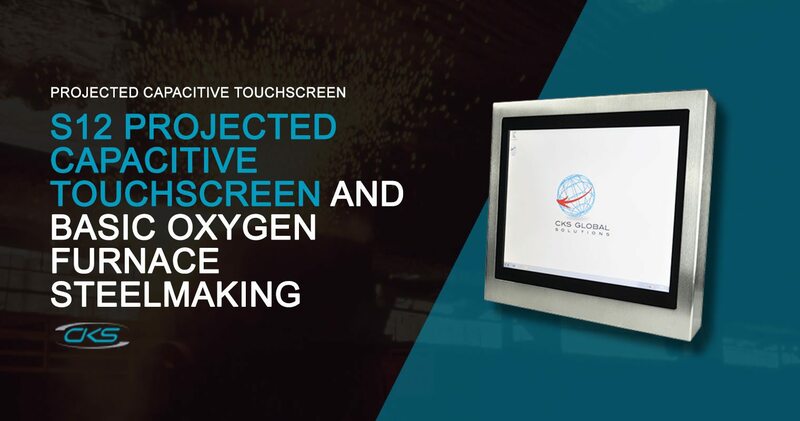 Moreover, projected capacitive touchscreen PCs have impressive touch functionalities. Operators don’t have to remove their protective hand gear just to perform specific functions. Steel manufacturing also bears a 24/7 operation. So, operators spend most of their time in the workplace as well. Prolonged sitting or standing in the workplace may lead to musculoskeletal disorders (MSD) and eye strains. But, having an industrial computer that is VESA mount compliant can provide a lot of benefits. It can save space because of its collapsible movement capability. It also provides collaboration benefits. It enables the operators to share the monitor with other users by adjusting its monitor arm. In the next coming years, steels are still one of the most sought-after products in many industries. Expect that steel manufacturing will continue to increase its demands in the global market. Today, its operations must also need to step up and learn to adopt modern technology. By installing an S12 rugged industrial PC, every process of steelmaking can be simplified. And, this includes basic oxygen furnace operation.